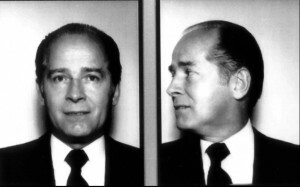 Federal prosecutors said they will not release the name of the confidential informant involved in the case against mob boss James “Whitey” Bulger, the Boston Herald reports. The defense attorneys maintain the informant helped the FBI determine what others may say during testimony. “The FBI has advised that the informant had no first-hand knowledge of any of this information, and indeed had no direct contact with the relevant individuals discussed in the FBI report: Kevin Weeks, John Martorano, Pat Nee, Jack Curran, Patrick Linskey, Michael Linskey, Richard Buccheri and Kevin Weeks’ former girlfriend,” prosecutors said in court papers filed Monday. Posted: 5/21/13 at 9:09 AM under FBI, News Story.